I'm a big fan of Philips' Hue products because they're easy to use, reliable, expandable, work across platforms, and can be integrated with third-party software. Nevertheless, I find their regular MSRP to be quite high, which is why I'm usually on the lookout for discounts when I want to buy new bulbs. 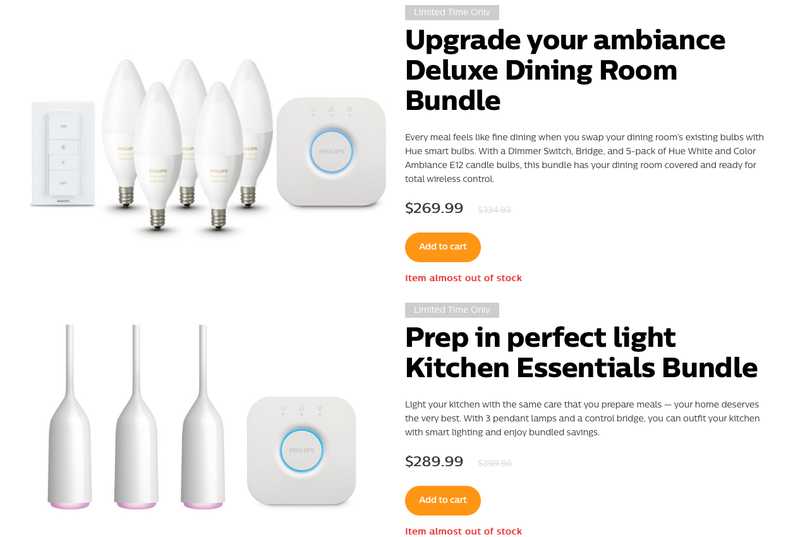 If you were thinking of getting Hue lights, today is your lucky day, as you can save up to 20% on Hue bundles. 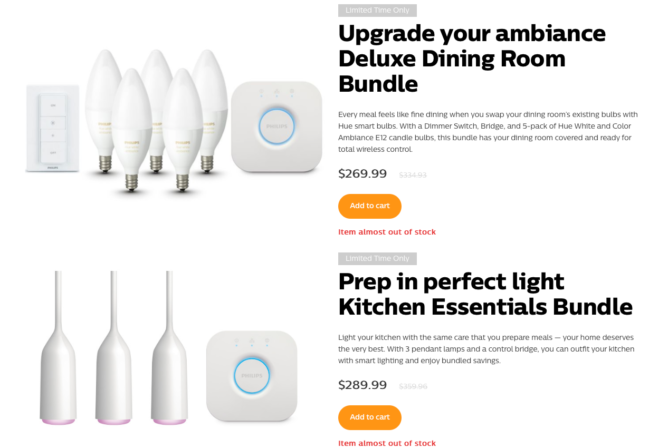 These deals are particularly attractive if you don't have Hue products or have already associated more than 50 lights to your existing hub, as they both include a new one in the package. Even if you don't need it, they take at least $60 off the regular prices, which means you'd still be saving a few bucks given the bridge costs about $50 — and you can always keep it for another installation or sell it on eBay. As both packages are almost sold out, we'd recommend purchasing them quickly before they're gone.